Dhaka, Apr 14 : President Abdul Hamid on Sunday urged people to stand by each other in times of their need. 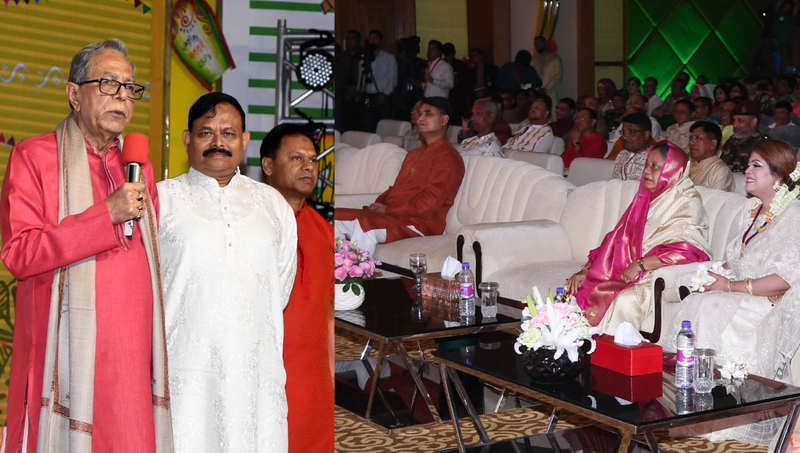 He made the call while addressing a programme organised by Bangladesh Army at Dhaka Cantonment to celebrate Pahela Baishakh, the first day Bangla New Year. The President greeted the people of the country and all Bangla-speaking people on the occasion of Pahela Baishakh. Prime Minister’s Security Affairs Adviser Maj Gen (retd) Tarique Ahmed Siddique and Chief of Army Staff General Aziz Ahmed received the President upon his arrival. Abdul Hamid enjoyed the cultural event presented by the family members of the Army. Navy Chief Admiral Abu Mozaffar Mohiuddin Mohammad Aurangzeb Chowdhury and high officials of the Army also joined the programme. Secretaries to the President were also present at the programme.